with Miele’s 120th Anniversary promotions! island-wide promotions from 18 Feb to 30 Apr. Find out more about about our latest promotions. Find out more about Miele's past event highlights and a selection of culinary workshops specially curated to enhance your Miele experience. 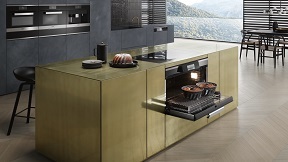 Our consultants will help you find the perfect appliances to begin your journey into the Miele family.